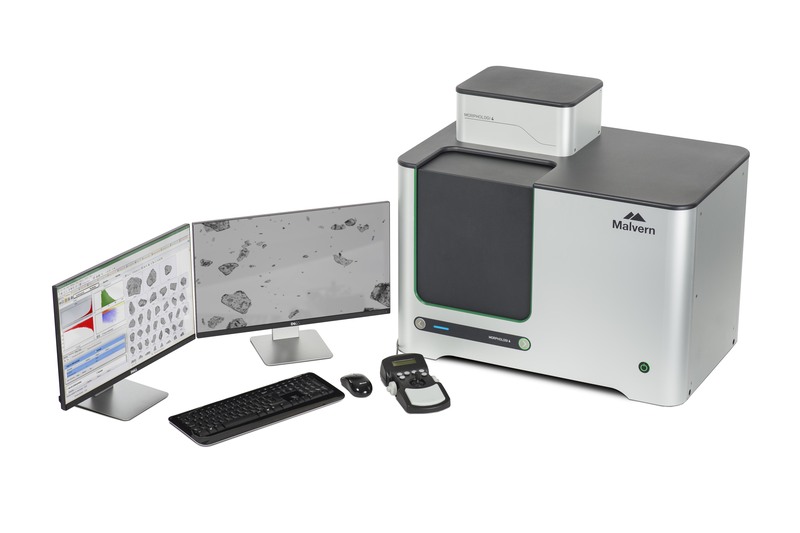 The new Morphologi 4 range deliver substantial improvements in measurement speed, image definition, and the range of materials that can be successfully analyzed. Offering sharper and faster particle size and shape measurements, the instruments add value to product development, troubleshooting and QC, particularly in analytical environments where a deeper understanding of a process and/or sample is required, such as during the development and processing of pharmaceuticals, metal powders and battery materials. The Morphologi 4 is a fully automated system for characterizing particles ranging in size from less than one micron up to a millimeter and beyond. Compared to its predecessor, it offers quicker measurement – a time saving of around 25%. A key feature is Sharp Edge, a new automated segmentation / thresholding algorithm that makes it easier to detect and define particles. Measurement sensitivity is further boosted by the 18 MP camera and by enclosure of the sample during imaging. delivers Morphologically-Directed Raman Spectroscopy (MDRS®), integrating the static imaging capabilities of the Morphologi 4 with Raman spectroscopy to enable the component-specific morphological characterization of different chemical species in a blend. Offering significantly faster spectral acquisition times than the previous model – a time reduction of up to 80% – it also allows acquisition conditions to be customized to the sample.